If you can help, please make contact. Marsh and his crew in Halifax II BB333 (?) crashed soon after take-off for an Op on the night of 12/13 October 1943. All six of the crew were killed. They were buried at the Benghazi War Cemetery, Libya. Details of last Op 12/13 October 1943; and Aircraft Loss. Information sourced from the 462 Squadron Operational Record Book (ORB) for 1943 from the National Archives of Australia; Commonwealth War Graves Commission; from the K E M Marsh Archives (with thanks to Janet Lane); and from the S E Tilley Archives (with thanks to Anthony Tilley and his father Brian Tilley, great-nephew and nephew respectively of W/Op Tilley). Terminology in the October 1943 ORB for 462 Squadron differs from later usage e.g. Observer/Navigator; Bombardier/Air Bomber/Bomb Aimer; Tail/Rear Gunner. Photo supplied by Janet Lane. 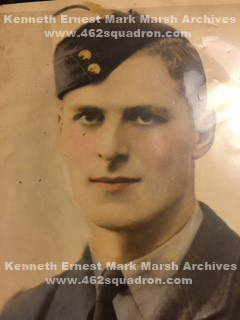 Left: Undated photo of Kenneth Ernest Mark Marsh, 1386008 RAFVR. of Lake Kaniere, Hokitika, Westland, New Zealand. Photo supplied by Anthony Tilley. Left: Undated photo of Sergeant Sydney Ernest Tilley, 1331844 RAFVR, possibly taken to mark the award of his Air Gunner's Badge, and subsequent promotion to Sergeant. Although 462 Squadron was nominally an Australian Squadron, the Marsh crew was made up of five British members of the RAFVR (England), and one New Zealander in the RNZAF. The original crew was made up of five Sergeants, and one Flight Sergeant (Ridland). On his first Op as 2nd Pilot, March was listed as Flight Sergeant, but for all later Ops he was listed as Sergeant. At the time of his death on 12 October 1943, Pilot Marsh had been promoted to Flight Sergeant, as recorded in the Commonwealth War Graves Commission records. Two were older (aged 30 and 35), and four were younger (aged 20, 23 and two aged 21). There were only two variations in surnames or initials, with the name COLVIN first recorded as COLVING. Marsh was once recorded with the initials K E N, later corrected to K E M.
No Service Numbers were listed in the Operational Forms 541, and the Service Numbers recorded here have been sourced from the Commonwealth War Graves Commission records. Postings TO the Squadron only mentioned Officers, so this crew's arrival has not been accurately determined. However it may have been sometime in late July 1943 or early August 1943, as Marsh's first Op as 2nd Pilot was on 2 August 1943. 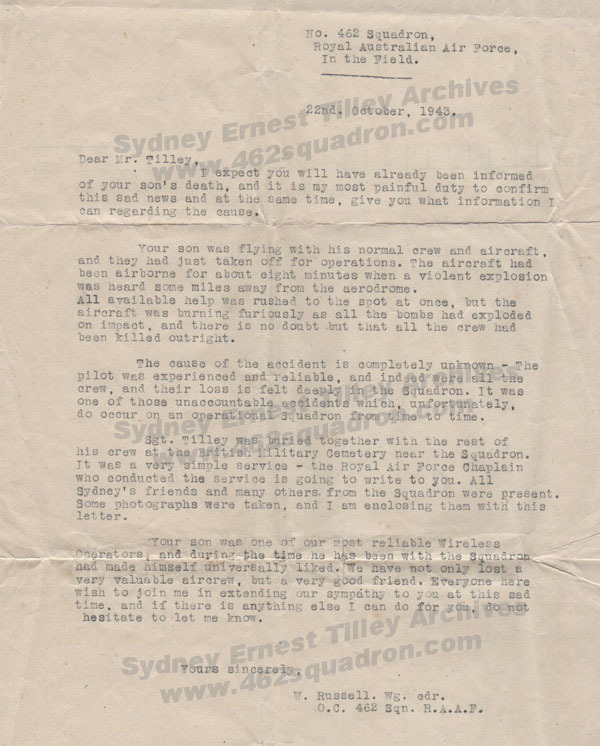 The RAF Service Files are not as accessible as those for RAAF personnel, so extra information on this crew is not currently available. However, additional details and photos can be added in the future should anyone like to contribute – if so, please make contact. Pilot Marsh – additional photos and documents may be available from the Marsh archives, for possible inclusion in this site's updates for January or February 2018. Wireless Operator Tilley – similarly more information may be added for later updates. Crew Ops, transcribed form the 462 Squadron Operational Record Book. Some of the pages are badly faded, or are very poor quality carbon copies (some 1943 originals had been created using worn carbon paper), so some words are almost illegible. My apologies for any transcriptions errors. Pilot Marsh – four Ops scheduled as 2nd Pilot; two were successful; one did not take off; one was abandoned; so 2 of the 4 were probably not counted in his Op tally. Pilot Marsh and usual crew – 3 Ops together, sadly the 3rd being fatal. 02/08/1943 1 BB333 ? ? 1930 ? 0210 ? Railway Installations at Reggio di Calabria, Italy Bombing From Hosc Raui; Marsh as 2nd Pilot for S/Ldr R O Buskell and Crew; bombed target; returned safely to base. 1 of 5 aircraft detailed. 05/08/1943 - BB358 ? ? – – Railway sidings at San Giovani, Italy Bombing From Hosc Raui; Marsh as 2nd Pilot for Baker and Crew; did not take off due to engine trouble. 1 of 8 aircraft detailed, 5 bombed target; all returned safely. Malta Railway sidings at San Giovani, Italy Bombing From Hosc Raui; Marsh as 2nd Pilot for Baker and Crew; Op abandoned due to engine trouble, jettisoned bombs in sea & landed on 3 engines at Malta. 1 of 6 aircraft detailed, 4 bombed target & returned safely; one force landed 100yds off shore in sea, with 3 engines out of fuel (Evans and crew, uninjured, & assisted ashore within minutes). 07/10/1943 2 BB420 ? 2003 0143 Heraklion Aerodrome, Crete Bombing From Terria; Marsh as 2nd Pilot for Landon and Crew; bombed target and returned safely to base. 1 of 9 aircraft detailed. 09/10/1943 1 BB412 ? 1941 0314 Calato Aerodrome, Rhodes Bombing From Terria; bombed target and returned safely to base. 10/10/1943 2 BB412 ? 2130 0515 Calato Aerodrome, Rhodes Bombing From Terria; bombed target and returned safely to base. 12/10/1943 3 Not listed ? ? ? Maritza Aerodrome, Rhodes Bombing From Terria; crashed soon after take off; all six of crew KIA; details in later sections. Five aircraft (Halifax II) were detailed to attack MARITZA AERODROME Rhodes. and aircraft burnt out very quickly. All members of the crew were killed. half of runway. Only slight LAA was encountered from LINDOS area. A/C returned safely. The three remaining aircraft identified target and bombed from 11/12000ft. encountered Heavy AA – accurate but no damage was sustained by aircraft. Form 541, Detail of Work Carried out, Terria, Appendix 'A', October 1943. 12/13 October 1943, detailed to attack Maritza Aerodrome, Rhodes (Aircraft and crews listed as 1 to 4 as per the sequence in the ORB; summary only; the 5th aircraft with Marsh crew was not included in the original; one aircraft was to illuminate the target by dropping flares). 1. Halifax II BB412 S/Ldr SPV Bird and crew; up 2346; aircraft was starboard of track on second leg of route; flares of target seen, but decided to bomb KATAVIA instead of MARITZA; returned safely to base, landed 0742. 2. Halifax II BB425 F/Sgt G Croot (RAAF) and crew; up 2348; target identified and bombed on first illumination; returned safely to base, landed 0754. 3. Halifax II BB424 F/Sgt D R Browne (RNZAF) and crew; up 2341; detailed as flare dropper for the Op. Reached target without difficulty and illuminated target; 2 sightings of single-engine enemy aircraft believed to be ME109 north of target but no contact made; returned safely to base; landed 0821. 4. Halifax II BB416 F/O R D Langton and crew; up 2345; bombed at 0335; returned safely to base; landed 0745. 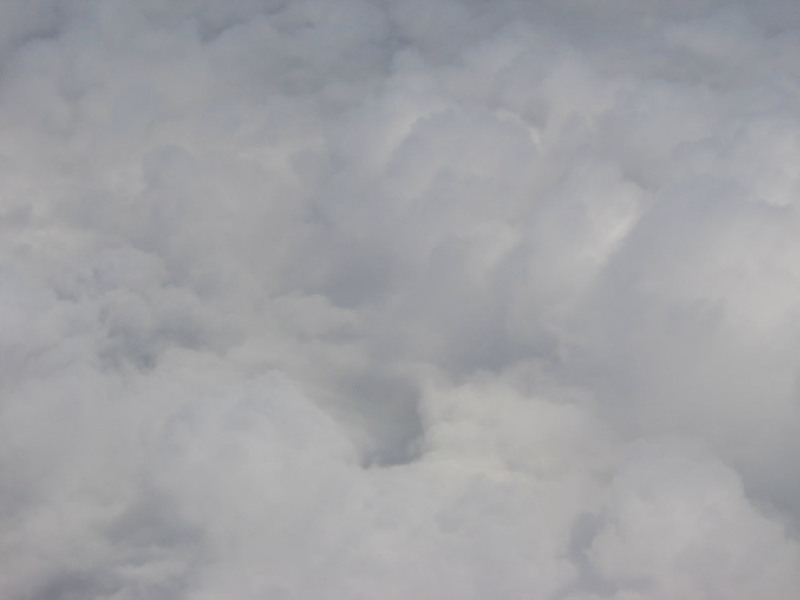 The Flares for the aircraft captained by Browne were not listed. 5. Halifax II and Marsh crew were not listed in the Form 541 for this date; assume their take-off was sometime between 2340 and 2350, along with the other four aircraft detailed for the night's Op. Although bomb load details were not recorded, their aircraft was carrying a bomb load, assumed to be the same as that for the other three bomb-carrying aircraft (i.e. 10 bombs). This information was referred to in the Form 540 (see above ... "bombs exploded on impact") and also in the letter to Wireless Operator Tilley's father, from Wing Cdr Russell, who also stated that the "bombs had exploded on impact" (see next section). Aircraft Identification: In relation to this crew's loss, no listing of their aircraft's Serial Number or aircraft Code Number has been located in the 462 Squadron ORB. In Storr's book, he records the Serial Number as BB412. However that appears to be incorrect, as Halifax BB412 was listed as being flown by S/Ldr SPV Bird and Crew on the same Op on 12 October 1943. It was also flown on the night of 15/16 October 1943 by P/O S E McFall (RCAF) and crew, again to the target of Maritza Aerodrome; and by Sgt N Dear and crew on 29 October 1943 (target Heraklion Aerodrome, Greece). Storr may have assumed the Serial Number was BB412, as Wg Cdr Russell had referred to W/Op Tilley flying with his "normal crew and aircraft" – their first 2 Ops as a combined crew had been in Halifax BB412. In Lax and Kane-Maguire's book (pages 91 and 449), they record the aircraft as Halifax BB333, Code J, but their source of information is not known. They stated that in October 1943 "two aircraft, each with six crewmen, were shot down by flak within the same 24 hours, but on different operations" (BB417 Hall, and BB333 Marsh). They also stated that this had been the Marsh crew's first Op. However the Marsh crew had carried out two previous Ops (9 October and 10 October 1943), both in Halifax BB412; and flak was not involved in their loss within minutes of take-off on 12 October. No copy of Batten's Book 1 (462 Squadron in the Middle East) has been sighted, so his information on the loss of this crew is not able to be compared. The funeral of Sgt. Marsh – Pilot. F/S Ridland H. Obs. Sgt. Tilley S.E. WOP/AG. and was attended by the many friends of the deceased crew. 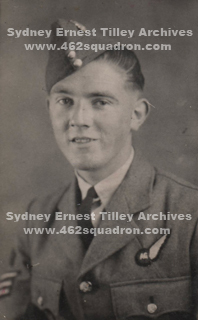 Officer Commanding 462 Squadron, to Mr Tilley, father of Wireless Operator / Air Gunner, Sydney Ernest TILLEY. Scan of letter supplied by Brian Tilley, via Anthony Tilley. was heard some miles away from the aerodrome. do occur on an Operational Squadron from time to time. his crew at the British Military cemetery near this Squadron. Sydney's friends and many others from the squadron were present. hesitate to let me know. O. C. 462 Sqn. R.A.A.F. More information will be added when available. Copyright © E.M.A.Hibberd 2010 - 2019.